The iPhone 4 has proven to be a popular item in China since its launch last weekend. 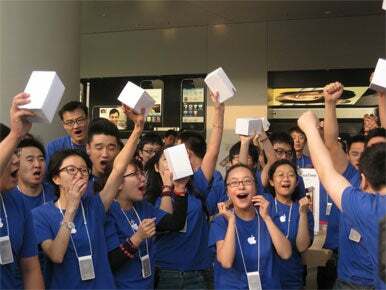 The massive demand for the product outpaces last year’s official launch of the iPhone 3G and 3GS in China. During that period, it had taken over a month before China Unicom had announced it sold 100,000 iPhone units. Apple has said more iPhone 4s will be made available in China soon and that customers should check back with their local store for updates. China Unicom expects the second shipment of the iPhone 4 to arrive in China Oct. 1, during the country’s National Day Holiday, Li added.